I hope everyone is having a great holiday (even if you don’t celebrate Christmas, if you live in the US it’s hard to get much work done today). 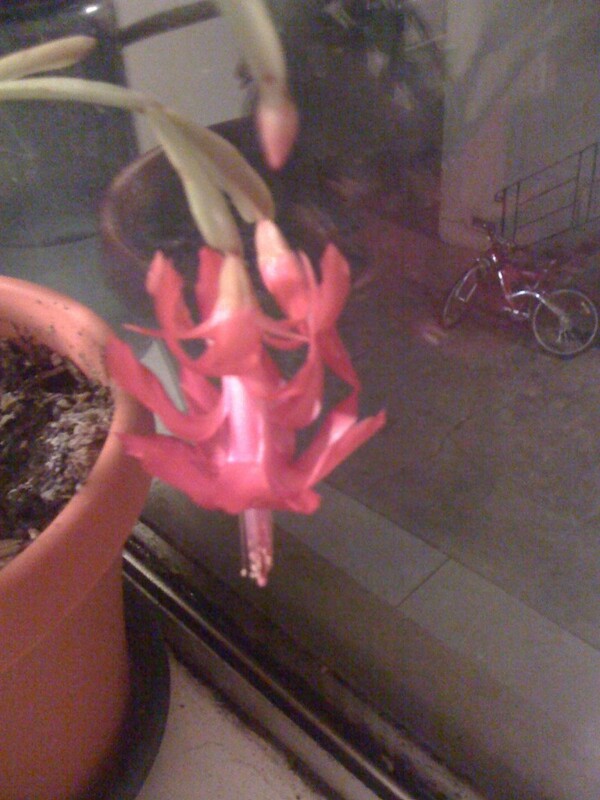 Right before I left town to celebrate the holidays with my folks, my zygocactus decided to flower for the first time ever*. I guess it really is a christmas cactus! Wishing all a safe and happy holiday! *Well since it’s been a free living plant. As previously mentioned, the plant goes back at least four human generations propagated by cuttings.